We’ve been doing a bunch of crests these days, and I have to admit that it’s one of my favorite trends. It’s teeming with personality and it’s a really fun to get to know a couple. 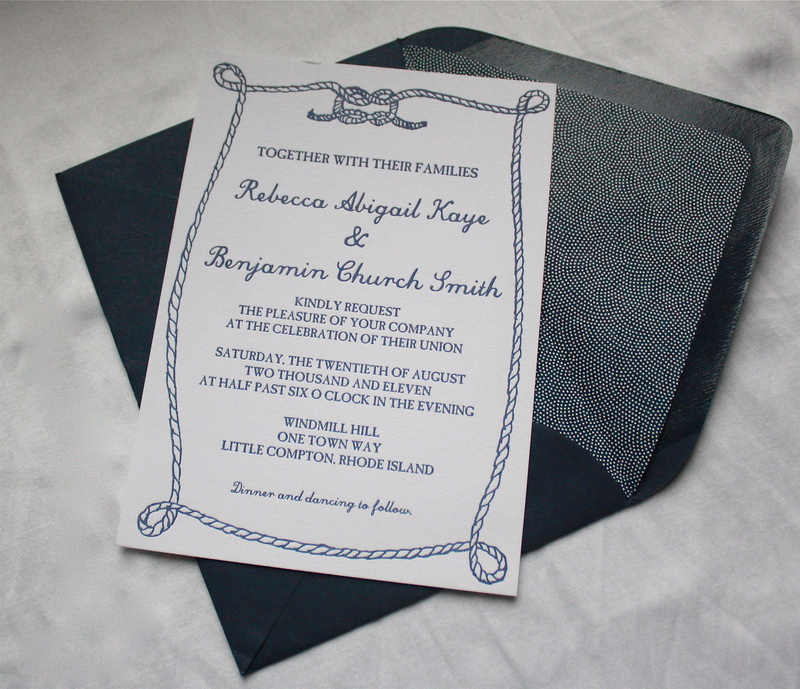 Here is a nautical letterpress invite for a wedding coming up in Rhode Island. Lovely!